Much of what you think you know, you actually only BELIEVE to be so. 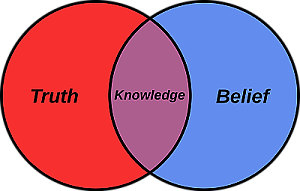 In my night classes, one of the visitors' key points was the difference between knowledge and belief. In today's media-saturated world, nearly all of what we think we know, we actually take on faith. 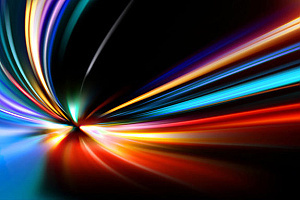 Unless you, personally, have measured it, the "fact" that the speed of light is about 186,000 miles per second is actually just a belief—and, even if you have performed the measurement yourself, do you know of your own experience that the measuring equipment is correctly calibrated? One quickly realizes that we must operate on some degree of faith if we are to get anything done. Belief is a necessary component if we are to build on the work of others. Our technology just wouldn't be possible without it. And yet, belief is a two-edged sword. As often as it has made progress possible, one could argue that our technology has been more held back by belief than advanced by it. How much further along might we be if Galileo hadn't been excommunicated by the Church; if people of the eighteenth century had been less certain that there was no point in investing in heavier-than-air flight; if even now biologists weren't forced to redirect their efforts into arguing that "intelligent design" is so much nonsense? What was not was not. World have changed a lot. Compounding the problem is the fact that so many of our beliefs are built on top of others. If a fundamental belief is proven untrue, everything else that relies on that belief, must also be questioned. As I said at the beginning of this series, as a young man I was absolutely certain aliens had never visited Earth. I could point to any amount of documentation supporting that position, in spite of the truism that it isn't possible to "prove a negative." And yet, my personal experience in the 1990s proved me wrong; and this change in such a fundamental belief sent me careening into corners of reality that most people, not having shared my experience, would dismiss out-of-hand. So, having had the personal experience of being in contact with non-human beings, I was driven to figure out who they are, where they are from, and what they wanted from me. I presented the story Sitchin told of beings from the rogue planet Nibiru colonizing Earth and genetically engineering Homo sapiens specifically to be their slaves. There are many other books published that describe human origins, as well as books that claim to reveal the origin of aliens. However, of those, only Sitchin's came with evidence. Okay, I haven't personally seen that evidence. But Sitchin reproduced hundreds of photos and drawings of Sumerian tablets, and demonstrated the rudiments of reading cuneiform. Thanks to the web, I was able to read the traditional translations of the Sumerian "myths" and compare them to Sitchin's. I was also able to double-check his facts as to geography and known history. His timelines often vary from those of conventional historians, never in sequence but in absolute dates (which, remember, are estimated by conventional historians, as well). In every case, however, his chronology made more sense to me than the traditional one. 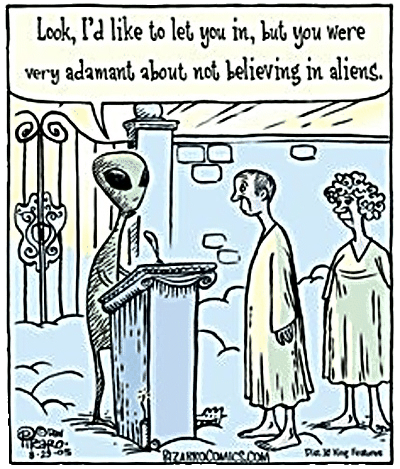 Still, the claims he made for the "Nibiruans" were pretty fantastic. I didn't want to waste time pursuing a red herring. Could I find any evidence that would disprove Sitchin's theory? Or make a provable prediction based on it? Sitchin's many debunkers had put forth their best efforts to disprove his theory, as well as slander the man personally. Many of their "dis-proofs" were, themselves, easily shown to be false; and the bulk of their arguments was that he must be wrong because no specialist in the field had come up with the theory before him. The general attitude was, "This can't be true because it can't be true." 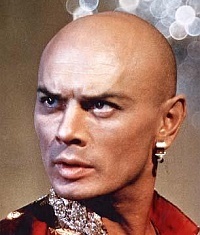 But I had already been forced through that particular gauntlet. On the plus side, a number of pieces of information had become available after the publication of his books which supported his theory—which is exactly how Scientific Method is supposed to work. I already pointed out the 223 genes possessed by Homo sapiens that are unique on Earth, a discovery made decades after Sitchin published his first books—yet predicted in them. There was also a lot of astronomical evidence that supported him. For example, as mentioned, the Sumerians knew the orbital periods of Uranus, Neptune and Pluto—planets they shouldn't have even known existed because they are invisible to the naked eye. (This factoid is not controversial, by the way—it is well-known that the Sumerians, who were avid astronomers, kept detailed ephemeredes on their tablets, which have survived.) 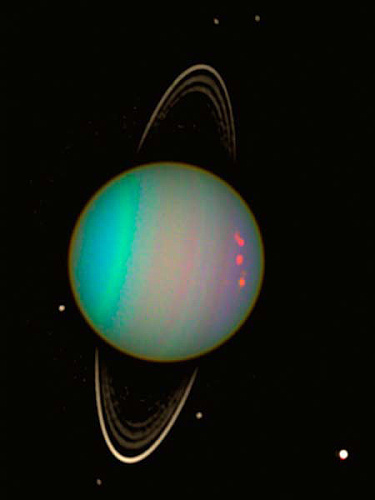 But the Sumerians also knew that Uranus' rotates on its side; they knew that Pluto was formerly a moon, not a planet with an independent orbit; they knew that Neptune has a ring. According to Sumerian cosmogony, when our solar system formed, it did so without Earth positioned between Venus and Mars. Instead, in place of the asteroid belt, there was a planet they called Tiamat (mother of life). When the rogue planet Nibiru fell into the solar system, one of its four moons collided with Tiamat, breaking it in two. The shattered half became the asteroid belt; the other half fell into an orbit closer to the Sun and became Earth. If true, one would expect Earth's crust to still bear the scar of this collision—and it does: That scar is the Pacific Ocean, where the crust is only about ten miles thick. (The crust is about twenty-five miles thick everywhere else.) Even now, the continental mass that was left on one side of Earth after the collision—Pangaea—having broken up, has pieces drifting toward the Pacific to fill in the void. But I got the idea that there might be another way to prove, or disprove, the Nibiruans' existence: by attempting to validate their cosmogony. After all, space travelers ought to get that right! 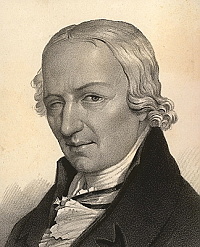 In 1772, the director of the Berlin Observatory, Johann Bode, printed a theory that the solar system formed according to simple geometric principles. (The theory, known as Bode's Law when I was in fifth grade, was actually discovered by Johann Daniel Titius in 1766 and is now known as Titius-Bode's Law.) It proposes (in somewhat simplified terms) that each planet of the solar system is twice as far from the Sun as the one closer in. The first thing we see from this chart is that the Bode's Law prediction is pretty darn close to the reality in most cases. Of course, we do have to include the asteroid belt as a "planet". But it's interesting to recall that the asteroid belt was discovered because Bode's Law predicted something should be in that orbital space! More disturbing is that Neptune doesn't fit into the pattern at all. That didn't bother Bode and his pals, because Neptune wasn't discovered until 1846 (not including the Sumerians, or Galileo who spotted it in 1612 but thought it was a fixed star). Pluto, however, picks up with the next "slot", though its distance from the Sun is misleading since it has a rather elliptical orbit—it actually comes closer to the Sun than Neptune for part of it. In any case, as much as the fans of Bode's Law wanted it to be true, the results were ambiguous enough that no one was certain whether the formula revealed a numerical coincidence or if some underlying aspect of celestial mechanics had been discovered. Neptune's discovery, and the fact that Neptune—which is a big planet—didn't fit into the pattern caused Bode's Law to fall into disregard. But now, with this newly-recovered astronomical information from the ancients, it might be possible to revive Bode's Law after all—that is, if Bode's Law described the celestial mechanics of a forming solar system; and if the Nibiruan's cosmogony was accurate. I decided to see what I could do. With one exception (Mars), my calculated distances are much closer to the reality than the original Bode's Law predictions. And Mars, according to the Sumerian tablets, was knocked out of its original orbit by another near passage of Nibiru. What's more, not only is Neptune not an exception, as it was in the original table—this result comes quite close to the actual distance. Does this prove anything? No. The original version of Bode's Law didn't prove anything, either. But I find here enough of a suggestion that, when added to the other evidence in favor of Sitchin's theory being correct, to allow me to believe that, of all the claims out there describing the origins of our alien visitors, Sitchin's is probably more closely aligned with the truth. So let us formulate an hypothesis. An extraterrestrial species visited Earth in the distant past and genetically engineered Homo sapiens to be a slave species. While technologically advanced, these beings were not gods—but would have seemed so to the easily-impressed humans they engineered. According to their own story, these Nibiruans were extremely long-lived; the same characters recur in adventures hundreds of thousands of years apart. They were ethically challenged in other ways (besides creating slaves); they waged a nuclear war against their fellows (Sodom and Gomorrah were bombed) that brought an end to the Sumerian culture and to their own global enterprises. If true, the Nibiruans came to Earth some 700,000 years ago and remained—the same individuals!—active through somewhere around 2500 years ago. But if their lifespan is such that individual Nibiruans could live 697,500 years…who's to say they aren't still here?